“All of the CAM Charity Anthologies are made up of donated short fiction stories. Some of these tales are written by well-known authors, others by ordinary people who just want to try and make a difference. 100% of the profits from these collections will go to charity as explained below. “Michael Robb Mathias Jr. aka M. R. Mathias, owner of Mathias Publishing, is producing the C.A.M anthologies in honor of his mother, Carol Ann Mathias, who passed away in 2017 after a grueling five year battle with cancer. The profits of these collections will be divided equally, each year, between three of her favorite charities. The C.A.M. Charity Anthology: Horror & Science Fiction #1 is an anthology of science fiction and horror originally published June 8th, 2017, by Mathias Publishing, with cover art by Jack Hoyle and interior art by Gideon Deschain, and includes my horror short story The Path of Needles. It’s available as a Kindle e-book from Amazon. While you’re at it, get The C.A.M. Charity Anthology: Fantasy #1 as well! More great fiction, more cancer-fighting donations — this one too is available from Amazon. 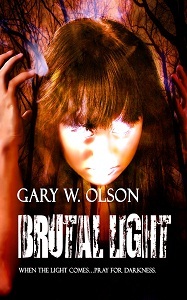 Gary W. Olson is the author of the dark fantasy novel Brutal Light and a contributor to the dark fiction anthologies Fairly Wicked Tales and The C.A.M. 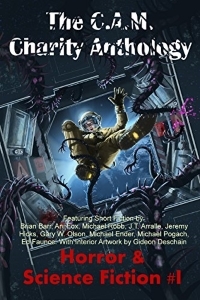 Charity Anthology: Horror and Science Fiction #1. His blog originates here. C.A.M. Charity Anthology: Horror & Science Fiction #1 cover art by Jack Hoyle.